Robert S. Wilson, author of Shining in Crimson and The Quiet: The Final Cover for RFA is here! 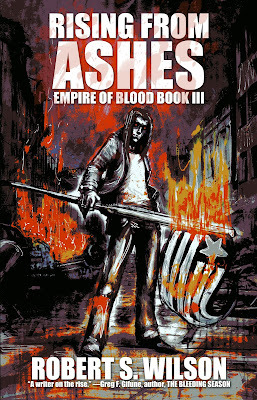 The Final Cover for RFA is here! Isn't it so pretty??? Luke Spooner of Carrion House did this one and he'll also be doing new covers for Books I and II as well. When I first started writing SHINING IN CRIMSON, in about 2008 or 2009, I pictured everything I was writing with a sort of graphic novel/comic book aesthetic, so when I learned that my previous artist would not be able to do RISING FROM ASHES in time for the book's release, I immediately wondered what it would be like to go with that kind of vibe with all new covers. It just so happens, I had just worked with Luke on the cover and interior artwork for a brand new book from Nightscape Press by K.M. 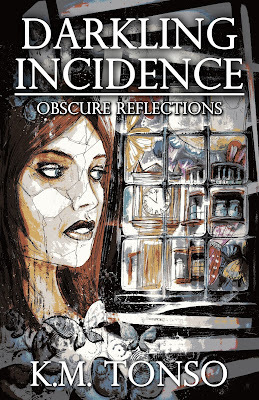 Tonso called DARKLING INCIDENCE: OBSCURE REFLECTIONS.which by coincidence actually hit Amazon today, so if you're looking for a really well-written collection of weird/dark fiction check it out. It's of course, edited by yours truly, and we wouldn't be publishing it if we didn't think it was absolutely amazing. Herein are contained reflections of what, as Saint Paul says, we see in a glass darkly. And as this angle of incidence is so shadowed, so must be the reflections it derives. These sixteen stories provide obscure reflections of worlds much like ours yet different. Worlds that grapple with increasingly confused and distorted realities. Each reflection so vivid as to become an open doorway where unwary readers might just find themselves stumbling over the threshold... never to return. And while you're at it, you should also really check out Amelia Mangan's debut novel RELEASE also edited by this guy (thumbs and all) and published by Nightscape Press last month. 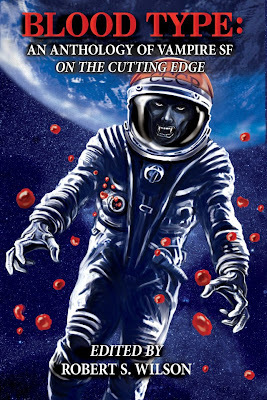 Some of you may remember Amelia's gorgeous dark morsel of a story The Souls of Stars from the Vampire/Sci-fi anthology I edited back in 2013 called BLOOD TYPE: AN ANTHOLOTY OF VAMPIRE SF ON THE CUTTING EDGE. At the age of sixteen, Stanley Fitzgerald murdered his mother. He hasn't uttered a word since. Institutionalized for the last twelve years, he spends his days numb and unresponsive, shut away in a dismal, silent world of his own. Large bright feline eyes. Long chestnut hair. Rough edges of bitten fingernails. Hands that once murdered an entire family. Marina talks to Stanley. And before long, Stanley talks back. As their friendship grows, Marina's influence draws Stanley out of his shell. The doctors, pleased with Stanley's progress, decide it's time for his release. Returning to the isolated Midwestern farmhouse where he grew up, Stanley is determined to start putting the pieces of his broken life back together. He never believes he will see Marina again. Not as long as he lives. Until, one black and rainy night, Marina appears on Stanley's doorstep. "They let me out," she tells him. Stanley wants so badly to believe her. 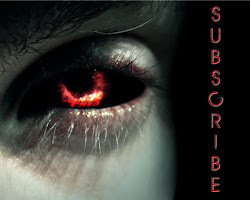 RELEASE is a Gothic fairy tale of love, death, guilt, and madness. And it will never let you go. "Reading Amelia Mangan’s Release is like being trapped in a slowly sinking ship while icy water rises all around you. It’s creepy, claustrophobic, and disturbingly vivid; I couldn’t put it down." "Beautifully written and utterly absorbing, Release is the story of a young man trapped in an insular world of memories and madness. Returning to the rat-infested farmhouse where he grew up, Stanley Fitzgerald settles into a routine. He cooks, he cleans, he listens to the radio. One day fades into the next, but there is a certain comfort in the mundane. A certain hopefulness in the simplicity of his new existence. Then a beguiling young woman shows up at his door and Stanley soon realizes that for a man such as he, there can be only one release. "Amelia Mangan’s writing is so rich and evocative, the reader will be tempted to race through the pages, but don’t. Release is to be savored, preferably on a moonlit night with a chill in the air." "Haunting and hard to shake off. Release wraps its chilled fingers around you and doesn't let go." "Release is the novel you'd get if you put Stephen King and Angela Carter in a room together and got them good and mean drunk. Scary, thrilling, gimlet-eyed, and so sharp you could cut yourself on it, this is a triumph of horror novels, and heralds an exciting new talent in Amelia Mangan."